CPA stands for Certified Public Accountant. As the name suggests, all CPAs are accountants but not all accountants are CPAs. A CPA is a trustworthy financial advisor who helps individuals and organizations to plan and achieve their financial objectives. She is the highest standard of competence in the field of Accountancy across the globe. The US CPA exam is administered by the American Institute of Certified Public Accountants (AICPA), which is the world’s largest accounting body. To become a CPA, the educational requirements may vary from state to state but a minimum of 120 credit hours is required by all US states, an equivalent of a bachelor’s degree. To get a license as CPA, an additional 30 credit hours of accountancy experience is also required. Thus, in all, 150 credit hours education is required to get licensed as a CPA. If you have studied outside your chosen jurisdiction, then you can go on the NASBA (National Association of State Boards of Accountancy) site and check if your education fulfils this requirement through their Advisory Evaluation platform. The Unified CPA Exam ensures that only qualified individuals become licensed as US CPAs. For the candidates staying in the US, they can apply directly to the NASBA or the state or the jurisdiction’s board of accountancy to find out if they are eligible to give the exam. If they are, they will receive a Notice to Schedule (NTS) which gives them a limited time to schedule the first section of the exam. The NTS is valid for only six months from the date of issue. The exam is conducted with the help of AICPA’s training partner, Prometric across the globe. For international candidates, they can either apply in the US or any nearest location to appear for the exam. The exams are conducted four times a year in slots called as ‘testing windows’. The exam cannot be scheduled less than six days in advance of receiving the NTS. The exam appointment is scheduled in conjunction with Prometric. You can go on their website www.prometric.com/cpa or call their call centre at 1-800-580-9648 to schedule your exam date and time. The appointments are scheduled on a first come, first serve basis so it is in your interest to schedule the exam as soon as possible to get your choice of location, date and time. Once you have passed all the four sections of the CPA program and fulfilled the educational qualifications, in order to receive the license to practise public accounting, most states/jurisdictions require at least two years of public accounting experience. They may also accept non-public accounting experience but in that case, the number of years of experience may be high. Also, there are some states which have a one-tier system in which the candidate must pass the CPA exam and fulfil the experience requirement both in order to receive the certificate and license both. Others have a two-tier system wherein the candidate receives the certificate on passing the exam and afterwards receives the license on showing the requisite experience. As mentioned above, to get licensed as a CPA, one must fulfil the criteria of education, exams and experience as per the state’s/jurisdiction’s requirements. Some states may require from the candidate to take an additional ethics exam before issuing the license to him. Also, to maintain the license, it is mandatory for the candidate to continue professional education (CPE). The duration is typically 40 hours each year and maybe computer-based or classroom/group learning. It varies by jurisdiction. The subjects covered in CPE varies by the type of license and area of employment. Hence, CPE may need ethics and compliance training as well. There is a renewal period on the license as well. However, it can be renewed every 1/2/3 years. The same test is conducted across all the exam centres no matter where it is taken. Moreover, the questions consist of multiple choice, task-based simulation and written communication tasks. However, the scoring is done on a 0-99 scale with a passing score of 75 in all the sections. The first score is released in the first week of the second month of the testing window, and then usually every two weeks following the initial release. 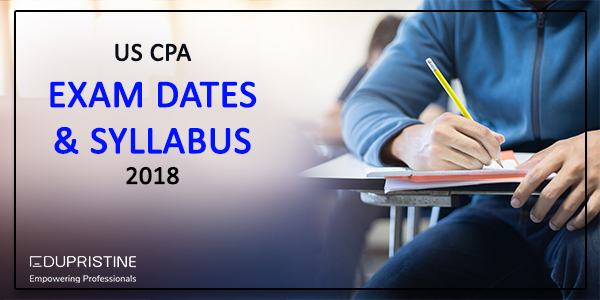 CPA cpa exam date CPA exam format CPA Syllabus.